Our Vision is to create a world that works better, with a mission to empower professionals to develop talent in the workplace. The Puget Sound chapter of the Association for Talent Development (ATDps) is a local association committed to talent development professionals in the Puget Sound area. We are here for our members and the broader talent development community in the Puget Sound. Our Chapter was organized in 1953 by a core of professionals in the training and development field to offer support and information on the latest trends in talent and employee development. We are proud to be a part of National ATD, the world's largest training association. Membership in the local chapter is separate from membership in the national organization. Every chapter has a unique blend of benefits and pricing for their members. 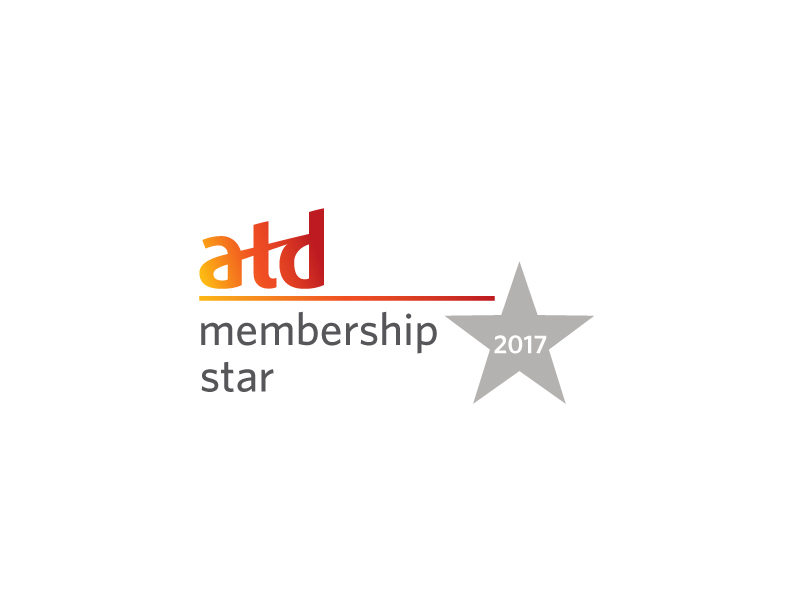 In 2016 we were recognized by ATD National as a membership super star chapter when over 45% of our local chapter members were also National ATD members as well. This joint membership with both a local and national ATD organizations is also known as Power Membership. ATD membership provides the tools you need for success. Chapter membership applies those tools to your organization and community. Together you are a Power Member! Being a member of the local chapter offers the additional advantage of contacts, resources and educational programs within the local training and development community. To learn more about how to join our chapter, click here. Our membership programs and resources are based on the ATD Competency Model. When ATD defined these competencies through deep research in the talent development field. They are considered to be the core of what talent development professionals need to know and do to be successful. We base our chapter meetings and special event offerings on this competency model. As part of the connection with national ATD, our chapter participates in and fully complies with a set of performance guidelines referred to as Chapter Affiliation Requirements or “CARE” which are set and evaluated by National ATD. These guidelines are designed to help the chapter deliver consistent benefits to members and ensure the chapter is run like a business. This achievement = consistently strong benefits to chapter members! We are proud of this ongoing accomplishment. The Chapter Incentive Program (CHIP) is a revenue-sharing program that offers chapters an opportunity to earn revenue when chapter members make purchases on the National ATD online Store website. It’s a way to help the Puget Sound Chapter financially, which in turn helps it deliver new services and programs. Each chapter is assigned a ChIP code. The Puget Sound ATD Chapter source code is CH8020. Type this source code into the box at Checkout so that the Puget Sound Chapter automatically gets its revenue share. Every person that uses the source code will be contributing to our chapter's financial health. Click here to find out more about ChIP.